There have been some fantastic conversations about museums, visitors, and empathy happening online lately (see here, here, here, and here). These are compelling discussions, looking at the ways museums demonstrate compassion, and the reciprocity and generosity that can exist between institutions and visitors. And they’ve left me thinking more about the role that asking plays in empathy in these relationships. Empathy is inherently an act of giving. But it’s also one of asking. To empathize is to try and connect to someone else through understanding. And this is where I think some museums can be more successful at empathizing – by first being open and asking those we want to empathize with to let us in. Palmer speaks beautifully about the relationships she’s formed with her fans asking people to connect with her. And it’s that idea that is resonating so strongly with me in the light of empathy – that museums should first begin relationships, especially emotional ones, by asking for them. Not that it’s necessarily easy. 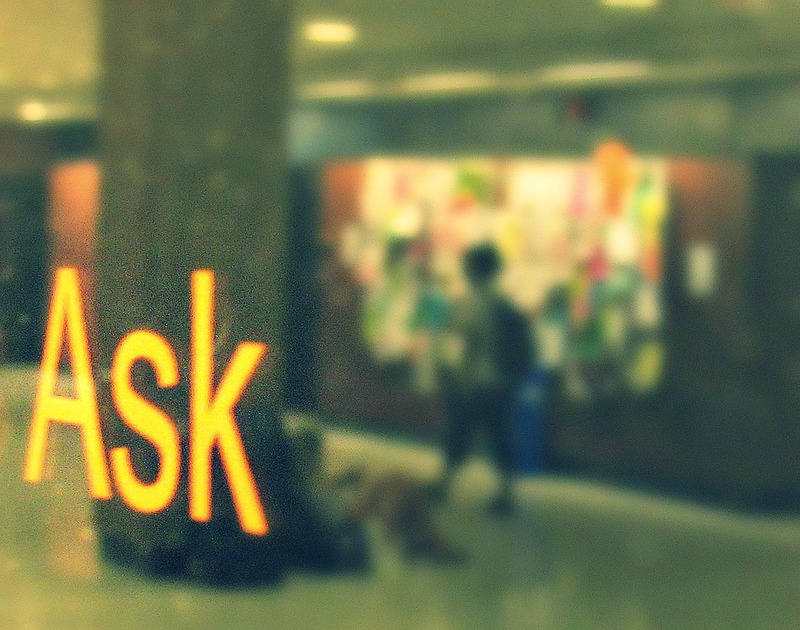 The act of asking is one of vulnerability, of transparency. But as we continue to champion the idea of museums as forums instead of temples, and as we look for ways to make visitors more than just consumers or customers, that vulnerability and openness is paramount. I’ve participated in some museum projects where we’ve asked people to let us – and help us – understand and empathize with difficult subjects, and others where we haven’t. And, (as unscientific a case study as my career may be) the relationships we created based on asking for participation, instead of just assuming the privilege, were more successful. Update: There are now even more posts on museum empathy. Check ’em out here and here. original image by michael newman, cc.